SHORECREST COMMUNITY ASSOCIATION: A great way to support and make a difference at your child's school! SCA sponsors opportunities for all Shorecrest community members to lead and participate in events, activities, and services that support and enhance the educational, social, and fund-raising needs of the Shorecrest community. All Shorecrest families are automatically a part of SCA, and there are no registrations and no dues. One of Shorecrest’s great assets is its community. A goal of SCA (formerly known as SPA) is to support and develop that sense of school community. There are many different personalities out there with many different talents, and just as many ways to become involved in our community. Whether it’s an hour a month, or an hour a week - there is a place for YOU. Get involved in the way that is best for your family and your schedule. Please join us for a SCA Meeting to see how you can get involved. It’s hard to imagine a more powerful team than school and parents working together to enrich student experiences. That’s why serving as a parent volunteer is so vital for your children. Get to know the school, the community, other volunteers - in ways that interest you! On behalf of all Shorecrest personnel, Mike Murphy and the Shorecrest Community Association invite all Shorecrest Volunteers to a complimentary Volunteer Appreciation Breakfast and Janet Root Volunteer of the Year Award Presentation. Every parent/guardian who has volunteered this school year is invited to join us on May 8. Digital invitation to come... please save the date! The Big Event Chairs, as well as the SCA Board, would like to thank the following people for their assistance in making Charger Winnings so successful: all Shorecrest teachers / staff who donated their time and items, Sam Soth, Charlene Hosseini, BA Beatty, Annette Eichenbaum and Eve Cline. A special thanks to Catherine Nelke and Heather Delrahim for their time on the class books project. It's time for some spring cleaning! Help SCA give loved and gently-used children’s books new homes. 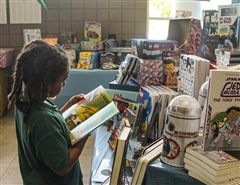 SCA will start collecting used books on Monday for the annual Oldie Goldie book sale. Collection boxes will be in the hallways of Lower School and in the Middle School breezeway. Used books will be sold to ES and LS students for rock-bottom prices so they can find new literary favorites on the cheap. Proceeds benefit the Shorecrest library. 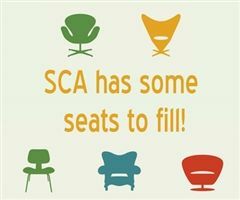 If you have an interest in serving on the SCA Board for the 2019-20 academic year, or know someone who would be a great fit, nominations and self-nominations are underway! Contact Stacy Conroy at stacyes@gmail.com or 813-944-7951. Many wonderful people give their time, energy, and effort to Shorecrest each year! If you know of someone whose contributions have been outstanding, please nominate that person for the 2019 Janet Root Volunteer of the Year Award. Without your input, a worthy volunteer might not be considered. Thank you to Book Fair Co-Chairs Tonya Farkas and Bernice Murphy and all of their helping hands for their extended Book Fair hours this year and helping everyone find just what they need to read! Even if you missed The Big Event, you still have opportunities to bid online to support the Shorecrest Community Association (SCA)! 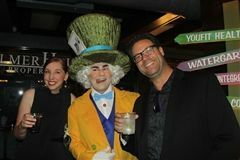 Charger Winnings are an online auction of events, sign-up parties, and special experiences - many hosted by Shorecrest faculty for students! Also read about fabulous parent sign-up parties hosted by community members. Charger Winnings are open online through March 29! All proceeds benefit the Shorecrest Community Association. Help us welcome new families to Shorecrest and make them feel a part of our school community! The Admissions Office needs several volunteers per grade level to make welcome calls to new families over the summer. If you're interested, fill out the form below.